To say the least, I was pleasantly surprised. The soul and energy of the show lived up to expectations. The sound deconstruction that threatens to converge into pure chaos was present, too. 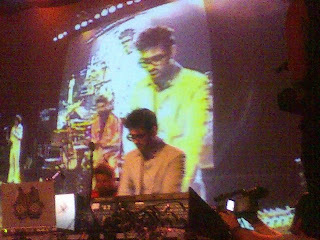 The VJ was awesome. Bottom line: Catch Lidell in a city near you!